ALL LESSONS AT 10€ PER HOUR! DO NOT MISS OUR SPECIAL OFFER AND TAKE ADVANTAGE OF IT. WE OFFER LESSONS FOR 10€ FOREVER! Choose the days of the week and the times at which you want your lessons, we will adapt to your schedule and you will always have a teacher who will monitor you individually. Choose the duration of your lessons taking into consideration your schedule. You can choose from lessons of 30 minutes, 60 minutes or 90 minutes. Choose the hours of lessons per month, in monthly installments of 4 hours (basic), 8 hours (standard) or 12 hours (premium). 15€ 10€ per hour of lesson. Sale at 5€ per lesson of 30 minutes! 13€ 10€ per hour of lesson. 10€ per hour of lesson. 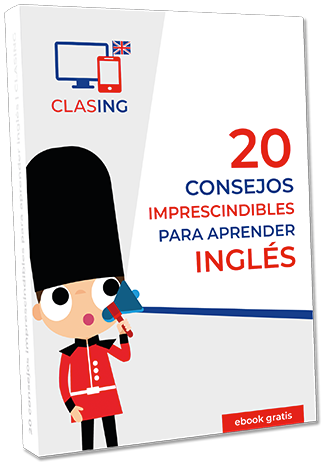 The Basic plan is designed for people with a limited amount of time and for those who want to strengthen or improve some specific aspects of the language. Remember that you can schedule your monthly lessons in 2 lessons of 30 minutes a week. The Standard plan is designed for those who want to take one more step and to reach a medium level of fluency to be able to communicate without problems in any type of conversations. Remember that you can schedule your monthly lessons in 4 lessons of 30 minutes a week. The Premium plan is designed for you to successfully achieve the goals you set. We prepare you intensively and we provide the academic materials necessary to learn in the shortest time possible. Remember that you can schedule your monthly lessons in 6 lessons of 30 minutes a week.